Did you miss out on seeing what books we were recommending and selling this summer? Catch up now with a complete list of what we had at the book table. It's a long list! Most of them I will just give you the title. But I will give some comments on a few notable standouts. That said, ALL of them are worth your time reading! If one captures your interest, and I didn't write anything about it, just ask! There are a lot of "mom" books out in the marketplace. If anything, this testifies to the painful trials moms endure just by being a mom. Furman is my favorite writer in this genre, and yes dads, I have read all of her books (and so has my wife)! 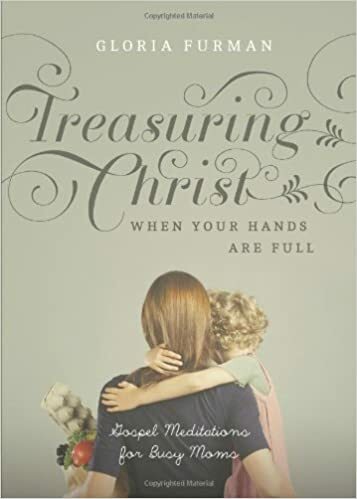 Get this for the mom in your life, as Furman will help her see the supremacy of Jesus Christ even in the mundane days of being a mom. The Church has needed this book for a long time. Dunlop, a physcian, speaks to Christians about how to walk the difficult road of dementia, whether you are the patient or the caregiver. He provides an honest look at the disease, and offers hope from the power of the gospel. This short collection of Lewis's sermons/lectures (9 in all) are penetrating. You will not be the same after reading them. I still go back to this book when I need a shot in the arm. The first essay, from which the title of the whole book comes from, is probably one of his most famous pieces. He argues, in short, that we are designed for God; we become truly human when satisfied in God. His sixth essay, "The Inner Ring," will convict you of the great temptation we all have to part of an inner circle of people. Other essays explore church membership, Christian forgiveness, war, and the struggle to cling to God's kingdom over the temporal world. Just published this spring, this may be the most important new book published in Christian writing this year. Butterfield challenges me to make our home a place of refuge for our neighbors. She shows the reader how our crazy, me-centered, child-centered world has caused Christians to push aside their most sacred calling: loving strangers and neighbors to Jesus. She prophetically calls all households, whether married or single, to look up from their daily routines and their busy kid schedules and look at how they might reorganize their lives around the ordinary biblical calling of hospitality. You must read this book. I can't pass up the opportunity to put another plug in for Lewis. This narrative is near the top of my five favorite books of all time. It might be a crime to put this under the genre of "Literature," for it is so much more. Lewis captures brilliantly the life and death struggle we have for Christian joy in God alone. Newton has become like a father to me, teaching and exhorting me. I especially love his letters. Aitken's book captures Newton's story well. Read everything that Haykin writes. Seriously.